My blog has moved!!! Please visit my new blog. My blog has moved!!! Please visit my new blog for all the newest news, events, opinions and more!!! You will be automatically re-directed in three seconds. Click the link to go to the new blog now. Use the search function on the new blog to find any story you are looking for on here. At the forum GLBTSA members voted 21 to 3, with eight abstaining, to endorse Bernard Holloway for student body president - his second endorsement of the evening and fourth overall. Holloway and his opponent, James Allred, discussed their platforms in a three-minute introduction and a lengthy question-and-answer session, emphasizing how their views would affect the lesbian, gay, transgendered and queer community. Both candidates spoke extensively about their credentials as allies. "It's programmed into me," Allred said. "It's who I am." Holloway recounted his experience as an ally when his best friend from high school came out. "I'm a big believer that being an ally or anything political is that it starts at home," he said. Members of the audience were interested especially in hearing the candidates' opinions on the University's nondiscrimination policy, which the group is working to amend. Holloway favored expanding it to include gender identity. He stressed that he was against adding political ideology to the nondiscrimination pact - which UNC's conservative community has been advocating and many in the GLBTSA stringently oppose. "A nondiscrimination pact is something special," Holloway said. "The nondiscrimination pact would be ripped to shreds if we added political affiliation to it." Holloway also expressed support for including a diversity exposure workshop as part of summer orientation for first-year and transfer students. He said he wants cultural and queer classes at UNC to be counted toward graduation requirements. Still Scruggs said both candidates used words and phrases - such as lifestyle - that have negative connotations within the community. A current Greensboro, NC, resident and former resident of Virginia has written a scathing letter to the editor blasting the Virginia marriage amendment. Reject tool of hate against gay people The Free-Lance Star, Fredericksburg, VA Feb 3, 2006 The marriage amendment and a plethora of anti-gay legislation are sending an unmistakable message that gays are not wanted, not citizens, and not safe in Virginia ["House bill could ban gay-straight groups," Feb. 1]. When you single out a segment of society and deny them their rights, you are setting them up for prejudice and hate. The Nazis did this with the Jews. I will not support my own oppression, nor am I waiting for them to come after me. On May 25, my same-gender partner and I sold our home of 26 years near Fredericksburg and escaped to North Carolina. The continuous drive to marginalize and stigmatize gay families will cause the best and brightest--gay and straight--to take their talents, creative energy, and tax dollars to places that are not such a right-wing stranglehold. This marriage amendment is not about protecting marriage as much as opposing homosexuality. It's all about exclusion--excluding a minority from the basic civil right to marry the person one loves using the same arguments white supremacists used against interracial marriage. We must confront this right-wing obsession with legislating gays out of existence. Do we want democratic inclusion or fascist supremacy? This amendment goes beyond limiting marriage to one man and one woman. It would bar gay couples--and unmarried heterosexuals--any legal recognition of their relationship (civil union or domestic partnership), and forever deny them the right to petition the government for any of the benefits of marriage. This amendment is spiteful, inhuman, unfair, and un-American. Cris F. Elkins Greensboro, N.C.
Last week I posted about ART's YES! Weekly group interview regarding Brokeback Mountain. The article in YES! Weekly was published this week. One correction needed though... they call us "Greensboro's gay-straight alliance". Hey, guys... it is "Alternative Resources of the Triad". 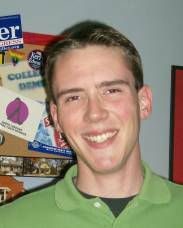 The following is a column written by one of the local LGBT community leaders, Chris Cannon. It was published in the Winston-Salem Journal's weekly, 'Relish'. "People don't choose this. We don't choose who we love. The heart chooses who we love...It isn't right to say that it's acceptable to discriminate against people because of that...because of who their heart chooses to love. "- Republican Washington State Senator BILL FINKBEINER during floor debate on a gay inclusive non-discrimination law. "Do you really care if the Arabic linguist translating the next piece of crucial intelligence is gay or straight, as long as he or she gets the job done quickly and accurately, and helps save American lives? Does it really matter anymore? "- Army Veteran and Call To Duty Tour Director ALEX NICHOLSON Nicholson speaking at a San Diego news conference hosted by Log Cabin. Norton said he sought the change because "I think there's a rule in place that doesn't really have any merit in today's time. I think it's a rule that is founded on this assumption that doesn't really exist, assumptions about gender and sexuality that aren't true." We're talking about a business whose policy is to ignore the mention of homosexuality because they think they'd make less money... A major cornerstone of the civil rights movement was the demand that businesses rise above "controversy" created by the small minded to stand on principle and treat all people with dignity... Forty years later it's time for other business owners to get on board. OUT OF MY HEAD: Graffiti Ads LLC caves to perceived prejudice "We're talking about a business whose policy is to ignore the mention of homosexuality because they think they'd make less money." By: Joe Killian Issue date: 1/31/06 Section: Opinions For decades my grandmother ran a bar in Greenport, Long Island - a small, blue-collar fishing town. It was nothing fancy - just a place where fishermen and locals drank beer and whiskey and had the occasional burger. It was the sort of place where, like the song says, everybody knows your name. And then, in the 1960s, things began to change. Suddenly, as if from nowhere, there were black and Hispanic faces in the crowd - and they seemed to think you had to serve them right alongside the white folks. Predictably, this caused more than a few fights in more than a few bars. But Alice never let anyone hassle her customers - whatever the color of their skin. When some angry white guy would ask her to chase out the niggers and spics before it became "that kind of bar" she told them it was her place - and if they didn't like it, they could spend their money elsewhere. It wasn't a popular policy - and it lost her some business, to be sure - but she wasn't going to let morons with money turn her into the sort of person she hated. She was a tough, crafty old broad - all Greek savvy and Irish temper, with a baseball bat behind the bar for guys who thought they could push her around. She ran her business according to her own principles and no amount of ignorance - or the cash it walked in with - could change that. I was reminded of Alice this week, when a Winston-Salem ad company, Graffiti Ads LLC, rejected an ad from Alternative Resources of the Triad, an area gay and lesbian group, as "too controversial" for placement in area bars and restaurants. The ad, a plain black square with a computer mouse, directed people to www.OutGreensboro.com, where they can get information about "Greensboro Out at the Movies" - a monthly event where college-aged gay and lesbian kids get together to see movies like the recent hit "Brokeback Mountain." The ad featured no political content, no racy images or offensive language - so, naturally, Alternative Resources asked what the problem was. The company replied, by e-mail, that it's their policy not to take on ads that might prove controversial - and the subject matter itself, a public gay and lesbian event, crossed that line. Enraged by the reply, UNCG student Matt Hill, who sits on the Alternative Resources board of directors, posted the correspondence on his weblog. The story caught fire in the tight-knit Greensboro blogosphere and, after gay business owners in the area were made aware of the policy through blogs and e-mail, some (including the owner of the Biltmore Hotel) began e-mailing Graffiti Ads to let them know they wouldn't do business with them. In reaction a Graffiti Ads employee, Daniel Zimmer, wrote a letter to various bloggers explaining that he is gay and his employers certainly aren't homophobes. But they are worried homophobic people would be offended by the ad - and that might harm their business. As Zimmer wrote: "Some people, who are ignorant and homophobic, may go to the website, not fully understanding what it is, and then be offended that it's a 'gay' site." So, we came to understand, the decision wasn't about homophobia - it was about cowardice. We're talking about a business whose policy is to ignore the mention of homosexuality not because they oppose it on principle but because they think they'd make less money if people who ARE homophobic saw this advertisement above a urinal at their favorite restaurant. In a way I think it would be more ethically defensible if they simply thought homosexuality was an abomination and wouldn't support groups like this for that reason. But cowering from something as benign as a gay movie night, in defiance of their own principles, because it might hurt the bottom line? That's truly shameful. Zimmer goes on to say that if the company was asked to promote a similar event for a Christian group it would also reject them as "too controversial" - something with which he thinks those angry about the policy will agree. But I don't find denying service to a group based on religious conviction any less offensive than discrimination based on sexuality. A major cornerstone of the civil rights movement was the demand that businesses rise above "controversy" created by the small minded to stand on principle and treat all people with dignity. My grandmother got the message. Forty years later it's time for other business owners to get on board. Joe Killian's column, Out of My Head, is in its fourth year. His writing can be found online at http://joekillian.blogspot.com and in Greensboro's News & Record. All posts made prior to July 8, 2005 on the old blog (www.matthillnc.com/blog/), can still be viewed by visiting the old blog. Posts made prior to July 8, 2005 will be deleted by December 31, 2005.